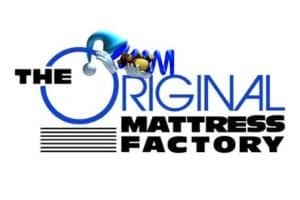 The Original Mattress Factory opened its first location in Cleveland, Ohio in 1990 by partners Ron Trzcinski, Perry Doerman, and Larry Carlson. Today, it has 11 factories and more than 100 locations throughout the United States. The company prides itself on eliminating the middle man and manufactures their own products in factory. Many mattress styles are available including: The Classic, Regency, Orthopedic, Serenity, foam mattresses and customizable mattresses. All come in various comfort levels from ultra-firm to ultra-plush. Customizable mattresses can be made for hard to find specialty items such as boats, bunk beds, corner cuts, and even sleeper sofas. The Original Mattress Factory doesn’t just sell mattresses, but also bedding and accessories, headboards, daybeds and adjustable bed frames. The Original Mattress Factory is easily accessible. It has stores in 9 different states and offers shipping to most others. The mattresses come in many price points, from affordable classics to the more expensive luxury lines. The Classic starts at $249 and is competitively priced with other mattresses of its type. Their luxury mattress, the Serenity Latex, starts at $1,429. 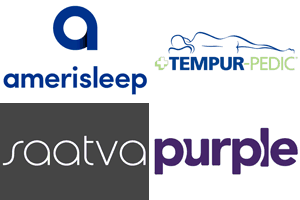 There are a wide variety of mattresses to choose from. 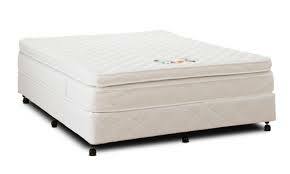 Innerspring, orthopedic, pillow top, and foam mattresses are all offered in various styles and price points. The company itself is known for its excellent customer service and vast selection. Consumer Reports has placed it at number one in customer satisfaction multiple years in a row. The general tone of reviews is positive, with many happy customers describing comfortable, long-lasting beds. The biggest complaint is that their innerspring mattresses, like most regardless of brand, tends to sag within a few years. Complaints of slopes forming in the middle and on the edges occasionally come up. Warranties are offered by the company but have very strict guidelines. In order to qualify for a replacement mattress the bed must have a noticeable indent of 1 1/2 inches. Transportation costs are not included in the warranty and are up to the consumer to pay for. Another common complaint is that the mattresses are too firm and differ from the store model’s firmness. The company does not accept any returns, but does offer a one-year comfort policy in its place. This entails a 25% fee based on the cost of the lowest priced mattress. It also may include the difference in price between the two mattresses and a delivery fee. A size change policy is also available. The consumer may pay a 25% fee and change the size of their box spring to split or low profile, or to change the overall size for a 50% fee. Again, price differences and delivery fees may apply.